Looking back 10 years ago you would be hard pressed to find the amount of “green” thinking that is going into our food and the buildings that support a sustainable environment. Yet all of it comes at a cost. Not everyone can till the dirt in the their backyard, grow organic food and sell it as organic food – unless you want a not so organic $11,000 fine – because the food needs to be USDA certified. Want a building that is officially recognized as a green building? Guess what, there’s a certification for that. “Any time you process it, if you start cutting it, cooking working with it, then your store has to be certified organic,” Scott Zellmer, Store Manager at Hahn’s Market said. It’s a way to insure that you are indeed putting emphasis on sustainability practices within your building. - Beth Hellwig, Chair of the Davies Student Center Project at UW-Eau Claire, which is up to LEED standards, but not certified. The dirt on organic food is that it has to go through the USDA (U.S. Department of Agriculture) Organic Certification. Each product that meets the USDA’s standards will have a little “Certified Organic” seal placed on the product. It’s important to note that even though a product may contain the organic seal that doesn’t mean it’s all organic. You have to read the fine print. Outlined on the USDA’s website, a 100 percent organic seal means “only organically produced ingredients and processing aids” while if the seal just says organic it only has to contain up to 95 percent organic material. Then if a grower only uses a minimum 70 percent of organic materials they may use the phrase “made with organic materials.” Got that straight. But before the food can have the seal the grower has to follow a few guidelines. “If you want to go from a regular farm to a certified organic farm it takes three years for your farm to be clear of pesticides,” Monica Baltich Marketing Manager at Hahn’s Market said. According the USDA’s National Organic Program, organic growers have to rid their land of “genetic engineering, ionizing radiation and sewage sludge.” Also after growers have cleansed and begun planting specific organic seeds USDA inspectors can pop in at anytime and make sure the soil is squeaky clean. This process comes at a cost which can be too much for some farmers. Zellmer said that growers need to pay an application fee, inspection fee, annual renewal fee, assessment fee and not to mention all the work it goes into transforming the way growers approach agriculture. “It kind of pushes out the little guy sometimes when you have to do all the certification and be government approved,” Baltich said. The LEED rating is a constructor’s best blueprint for designing a sustainable building. Like the USDA’s National Program the LEED ratings have their own set of guidelines. Chris Peterson, Project Manager at HOEFT Builders said that the process of becoming LEED certified begins very early on in the design phase. A consultant analyzes the budget, materials and the construction process to make sure it meets the guidelines. The guidelines – found on the USGBC’s (U.S. Green Building Council) website – are based on a 100 point system. Points are awarded towards certain categories like Sustainable Site, Water Efficiency, Energy and Atmosphere, Materials and Resources, Indoor Environmental Quality, Innovation in Design, and Regional Priority. In the end, all of these points are tallied up towards a final rating. The lowest rating is Certified Rating and then raises to a Silver Rating, Gold Rating and the highest being a Platinum Rating. When all is designed and done, some people choose not to become LEED certified and keep the cost down. For some people, carrying a certification is a big deal while some it not worth the cost. Contractors building and remodeling buildings that meet the U.S Green Buildings Council’s LEED ratings run into a similar situation that small organic growers may run into. Beth Hellwig, Chair of the Davies Student Center Project at UW-Eau Claire decided to take the same route. She said that herself and the UWEC students voted to not certify the new Davies Center in order to use the money to create a more sustainable Davies center. 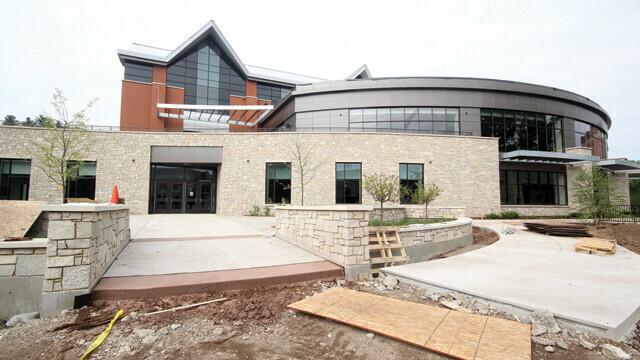 “The building (the new Davies Center) meets at least a silver LEED and close to a gold,” Hellwig said. Both Peterson and Hellwig agree that leaving out the certification process keep costs down but that doesn’t mean they ignore the rating all together. “It’s a way to insure that you are indeed putting emphasis on sustainability practices within your building,” Hellwig said.